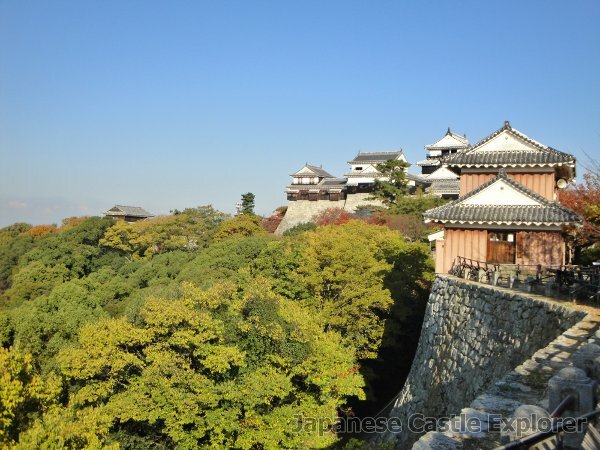 Matsuyama Castle is classified as a hilltop castle (its layout: Renkakushiki), and is located in Ehime Prefecture. During the pre-modern age, it found itself within the borders of Iyo Province. 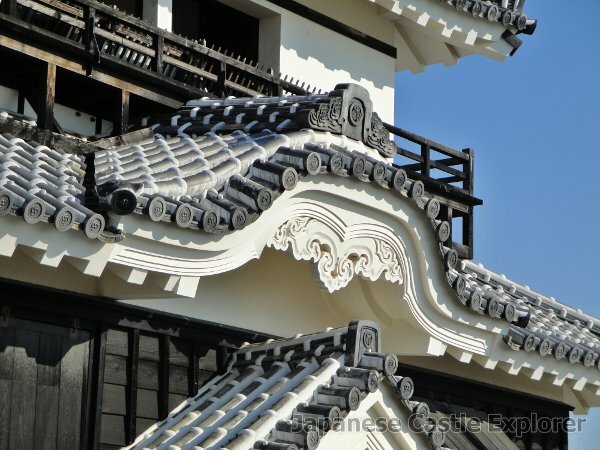 It is associated with the Katō, Gamō, Matsudaira clans. 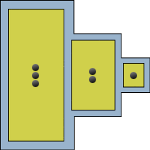 Dates in use: 1602 - 1873. 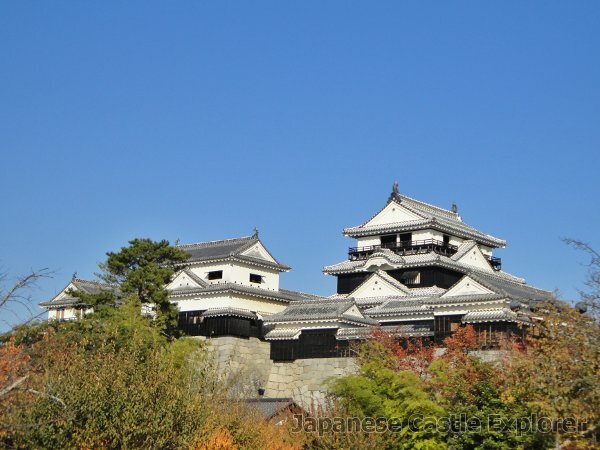 This is easily one of Japan's best & most complete castles. 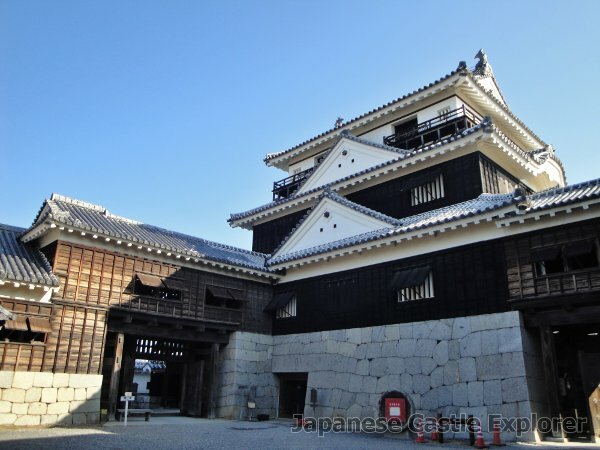 The surviving structures, complimented by several gates & turrets that were rebuilt in the last few decades, offer a reasonably complete picture of a Japanese castle in its prime. 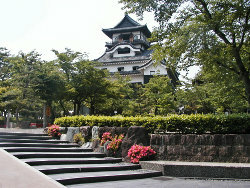 The current main tower was built toward the end of the Edo period. 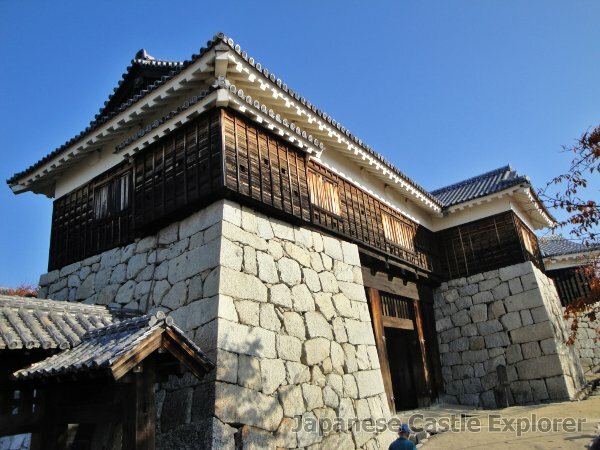 Highly unusual in itself given that permission for castle rebuilding was controlled & strictly limited by the Shogunate. There are many things of interest within the buildings also. On display are pieces of armour, weapons, maps. 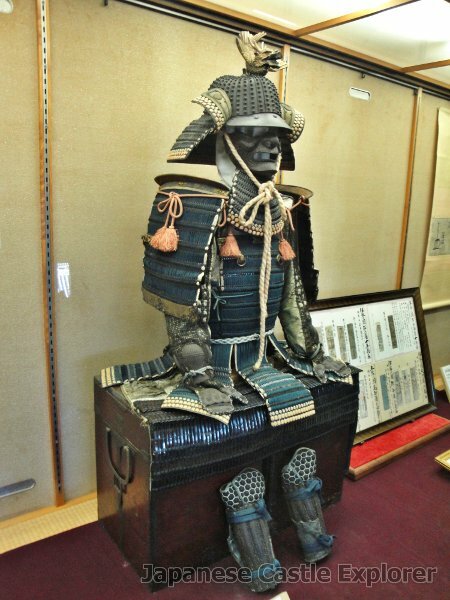 There's even armour youcan try on. I recommend you look out of the windows occasionally, the view isn't so bad either. 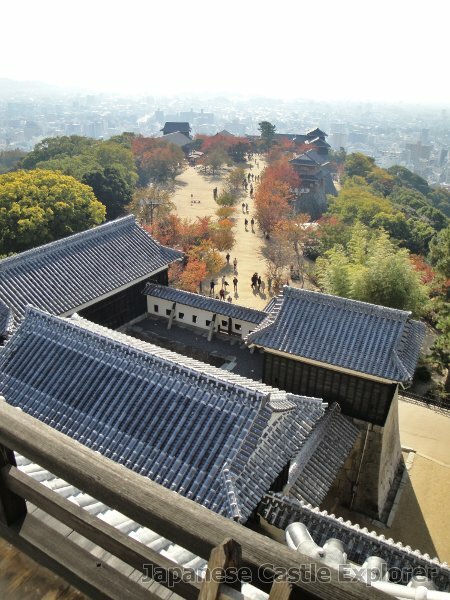 1602 Katō Yoshiakira commenced construction of Matsuyama castle using materials from Misaki & Yuzuki castles. 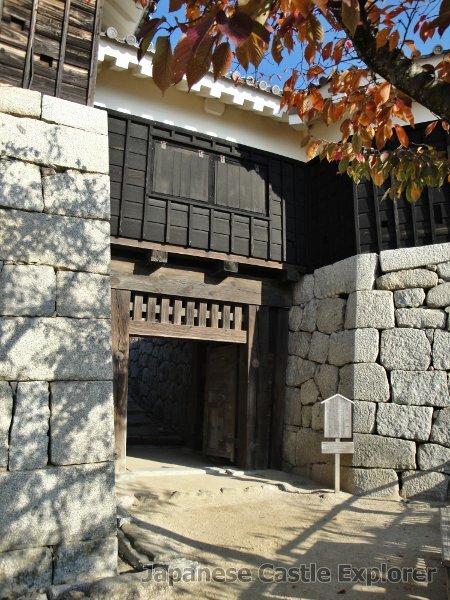 1603 The Katō clan started residing here. 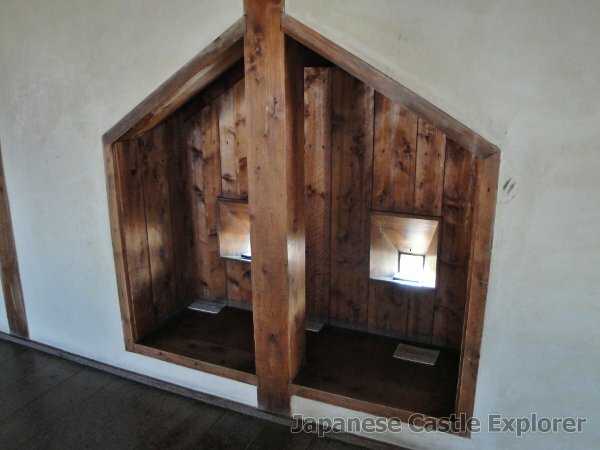 They had been living in nearby Misaki castle. 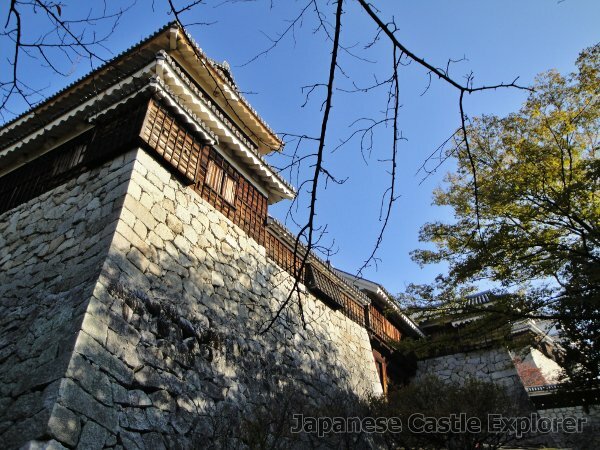 1627 The main buildings of the castle were completed including a five-story main tower. 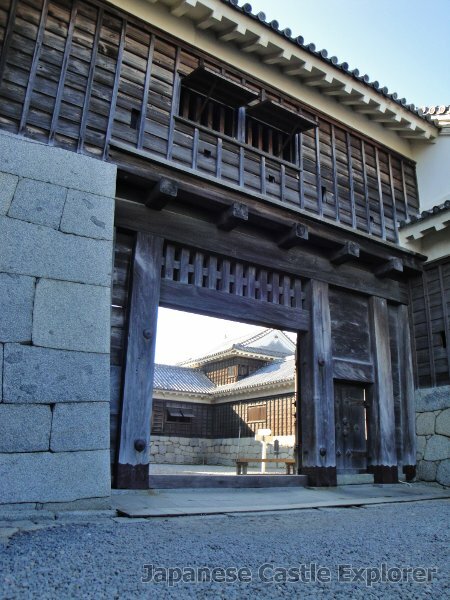 The same year, the Katō clan were transferred to Aizu & were replaced by the Gamo clan who completed building the some of the outer defensive stoneworks. 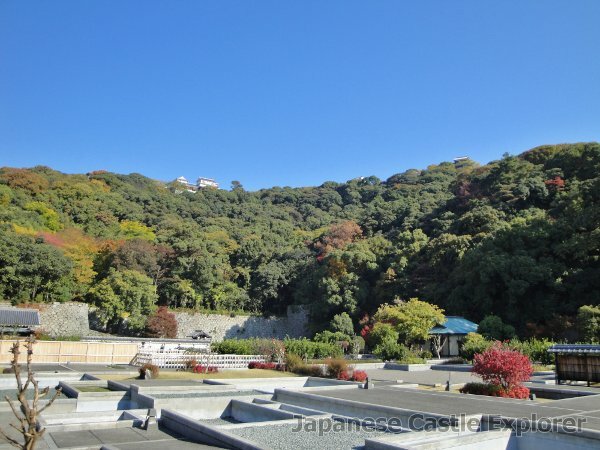 1635 The year before, the Gamo lord died without an heir so Matsudaira Sadayuki was transferred here. 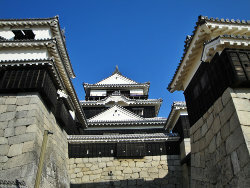 1642 The main tower was rebuild with just three stories. 1784 The main tower was destroyed by lightning on new year's day. 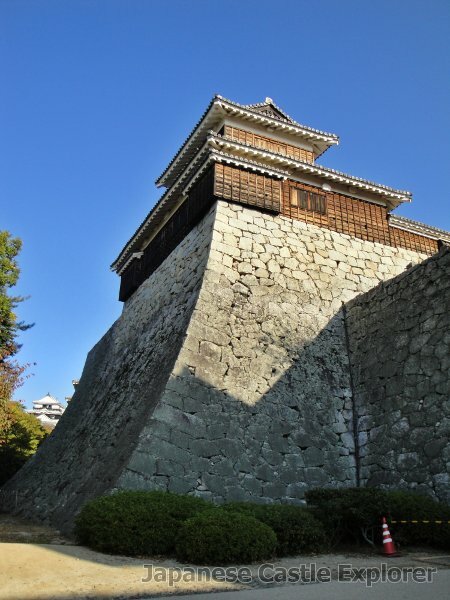 1820 Permission was granted by the Shogunate to rebuild the main tower & it was completed 1854. 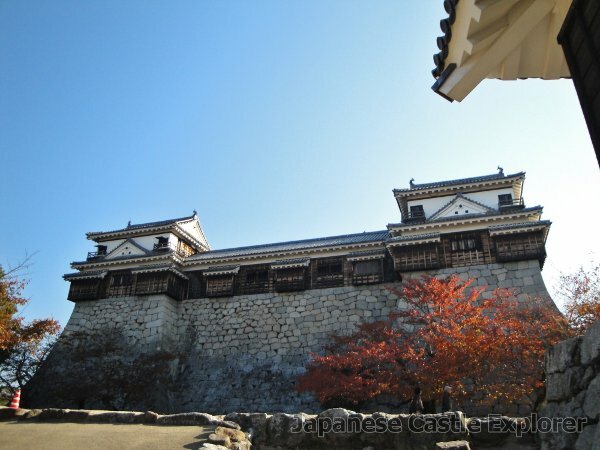 1870 The buildings of the outermost bailey known as the Sannomaru were burnt to the ground. 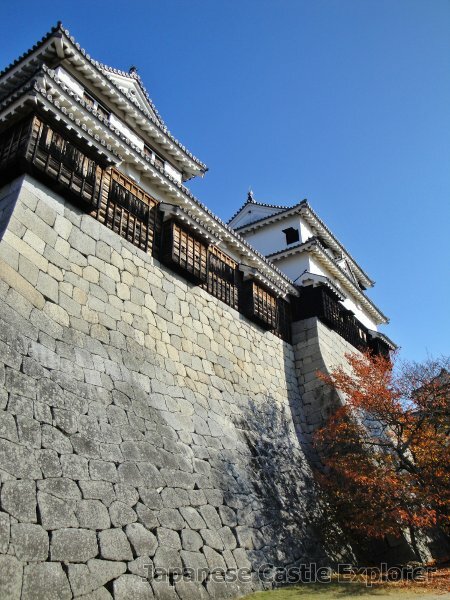 1871 The buildings of the secondary enclosure known as the Ninomaru were burnt to the ground. 1933 Several major structures were destroyed by arson. 1945 Several more structures were destroyed during WWII bombing. 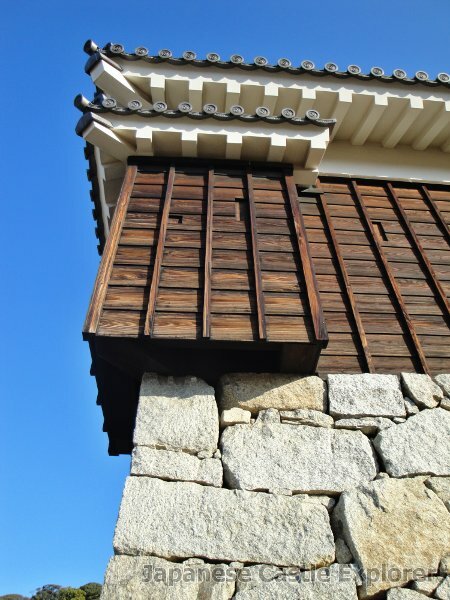 1968 Many of the same buildings that had been destroyed earlier in the century were rebuilt using wood. 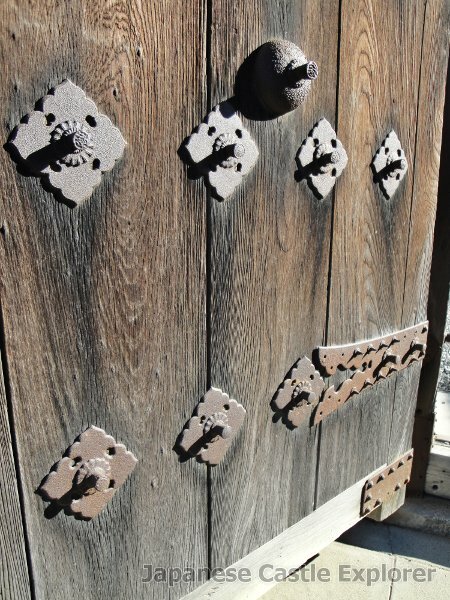 1971 The Tsutsui Gate was rebuilt. 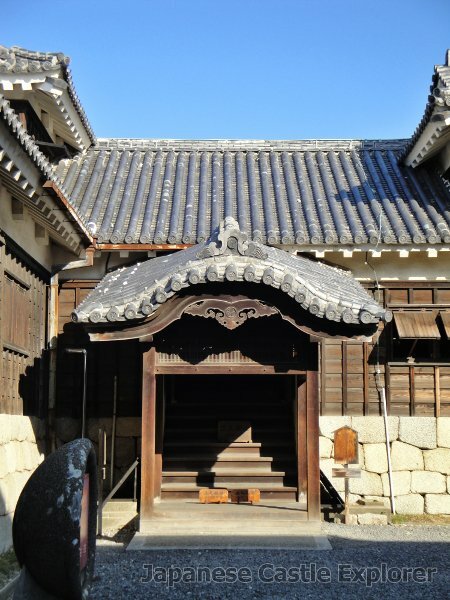 1972 The Taiko Gate was rebuilt. 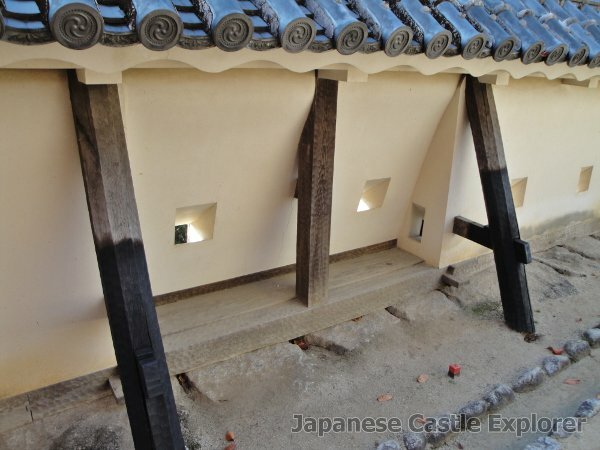 1973 The Taiko Turret was rebuilt. 1979 The Tenjin Turret was rebuilt. This turret actually contains a shrine. 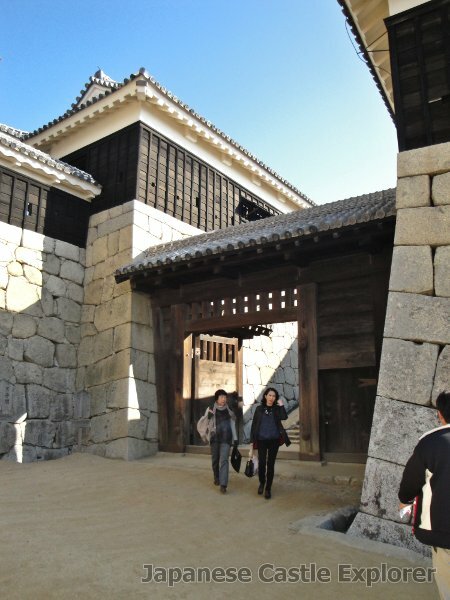 1982 The Inui Gate was rebuilt. 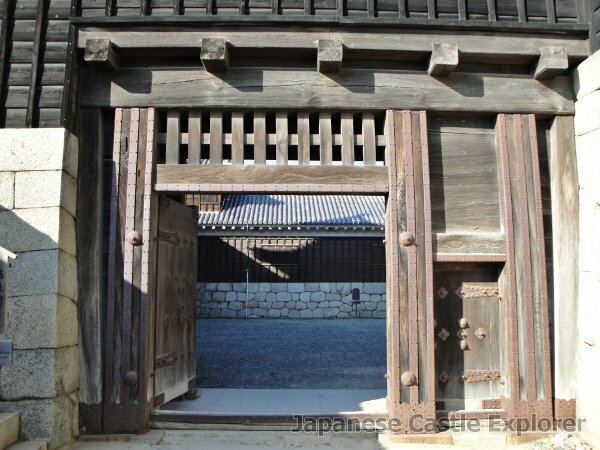 1984 The Ushitora Gate was rebuilt. 1986 The Tatsumi Turret was rebuilt.